↑ Richard Thompson, Ph. D. (December 1994). Reflections on the Relation Between Religion and Modern Rationalism. http://www.iskcon.com/icj/1_2/12thompson.html। আহৰণ কৰা হৈছে: 2008-04-12. ↑ Mahony, W.K. (1987). "Perspectives on Krsna's Various Personalities". History of Religions (American Oriental Society) খণ্ড 26 (3): 333–335. doi:10.2307/599733. http://www.jstor.org/pss/1062381. ↑ "Monier Williams Sanskrit-English Dictionary p.306". website. Cologne Digital Sanskrit Lexicon project. 2008. http://www.sanskrit-lexicon.uni-koeln.de/cgi-bin/serveimg.pl?file=/scans/MWScan/MWScanjpg/mw0306-kRzanAvat.jpg। আহৰণ কৰা হৈছে: 2008-10-13. ↑ Bhaktivedanta Swami, Prabhupada. "Chaitanya Charitamrta Madhya-lila Chapter 9 Verse 30". vedabase.net. http://vedabase.net/cc/madhya/9/30/en। আহৰণ কৰা হৈছে: 2008-06-15. ↑ Lynne Gibson (2002). Modern World Religions: Hinduism - Pupils Book Foundation (Modern World Religions). প্ৰকাশক Oxford [England]: Heinemann Educational Publishers. পৃষ্ঠা. 7. ISBN 0-435-33618-5. http://books.google.com/?id=jnwffnGT0tEC&pg=PA7. ↑ Hiltebeitel, Alf (2001). Rethinking the Mahābhārata: a reader's guide to the education of the dharma king. প্ৰকাশক Chicago: University of Chicago Press. পৃষ্ঠা. 251–53, 256, 259. ISBN 0-226-34054-6. ↑ The Encyclopedia Americana. প্ৰকাশক [s.l. ]: Grolier. 1988. পৃষ্ঠা. 589. ISBN 0-7172-0119-8. ↑ Benton, William (1974). The New Encyclopaedia Britannica. Encyclopaedia Britannica. পৃষ্ঠা. 885. ISBN 0852292902, 9780852292907. http://books.google.com/?id=G8YqAAAAMAAJ&q=Krsna+blue+skin+deity&dq=Krsna+blue+skin+deity. ↑ Harle, J. C. (1994). The art and architecture of the Indian Subcontinent. প্ৰকাশক New Haven, Conn: Yale University Press. পৃষ্ঠা. 410. ISBN 0-300-06217-6. "figure 327. 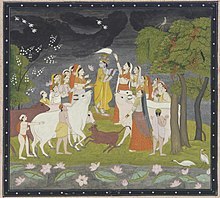 Manaku, Radha‭'‭s messenger describing Krishna standing with the cow-girls, from Basohli." ↑ Datta, Amaresh; Mohan Lal (1994). Encyclopaedia of Indian Literature. Sahitya Akademi. পৃষ্ঠা. 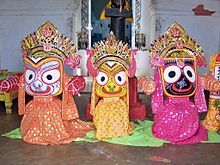 4290. http://books.google.com/?id=g-wbAAAAIAAJ&q=Manipur+Radha&dq=Manipur+Radha. ↑ Hoiberg, Dale; Ramchandani, Indu (2000). Students' Britannica India. Popular Prakashan. পৃষ্ঠা. 251. ISBN 0852297602, 9780852297605. http://books.google.com/?id=kEj-2a7pmVMC&pg=PA251&dq=Bala+Krishna. ↑ Wendy Doniger (2008). "Britannica: Mahabharata". encyclopedia. Encyclopædia Britannica Online. http://www.britannica.com/eb/topic-357806/Mahabharata। আহৰণ কৰা হৈছে: 2008-10-13. ↑ Barnett, Lionel David (1922). Hindu Gods and Heroes: Studies in the History of the Religion of India. J. Murray. পৃষ্ঠা. 93. http://books.google.com/?id=R-5KAAAAMAAJ. ↑ Barnett, Lionel David (1922). Hindu Gods and Heroes: Studies in the History of the Religion of India. J. Murray. পৃষ্ঠা. 92. http://books.google.com/?id=R-5KAAAAMAAJ. ↑ Sunil Kumar Bhattacharya Krishna-cult in Indian Art. 1996 M.D. Publications Pvt. Ltd. ISBN 81-7533-001-5 p.128: Satha-patha-brahmana and Aitareya-Aranyaka with reference to first chapter. ↑ Sunil Kumar Bhattacharya Krishna-cult in Indian Art. 1996 M.D. Publications Pvt. Ltd. ISBN 81-7533-001-5 p.126: "According to (D.R.Bhadarkar), the word Krishna referred to in the expression 'Krishna-drapsah' in the Rig- Veda, denotes the very same Krishna". ↑ See horoscope number 1 in Dr. B.V. Raman (1991). Notable Horoscopes. প্ৰকাশক Delhi, India: Motilal Banarsidass. ISBN 8120809017. ↑ Arun K. Bansal's research published in Outlook India, September 13, 2004. "Krishna (b. July 21, 3228 BC)". http://www.hvk.org/articles/0904/29.html. ↑ N.S. Rajaram takes these dates at face value when he opines that "We have therefore overwhelming evidence showing that Krishna was a historical figure who must have lived within a century on either side of that date, i.e., in the 3200-3000 BC period". (Prof. N. S. Rajaram (September 4, 1999). "Search for the Historical Krishna". www.swordoftruth.com. http://veda.harekrsna.cz/encyclopedia/historical-krsna.htm। আহৰণ কৰা হৈছে: 2008-06-15. ↑ Tripurari, Swami, Gopastami, Sanga, 1999. ↑ Lynne Gibson (1844). Calcutta Review. প্ৰকাশক India: University of Calcutta Dept. of English. পৃষ্ঠা. 119. ↑ Lynne Gibson (1999). Merriam-Webster's Encyclopedia of World Religions. Merriam-Webster. পৃষ্ঠা. 503. ↑ The English Writings of Rabindranath Tagore (ed. Sisir Kumar Das) (1996). A Vision of Indias History. প্ৰকাশক Sahitya Akademi: Sahitya Akademi. পৃষ্ঠা. 444. ISBN 8126000945. ↑ Schweig, G.M. (2005). Dance of divine love: The Rasa Lila of Krishna from the Bhagavata Purana, India's classic sacred love story.. Princeton University Press, Princeton, NJ; Oxford. ISBN 0691114463. ↑ 55.0 55.1 55.2 "যদুবালকসকলৰ প্ৰতি ব্ৰহ্মশাপ আৰু শাম্বৰৰ মূৰ্তি প্ৰসৱ, মূৰ্তি পৰ্ব্ব, মহাভাৰত - কাশীৰাম দাস". http://bn.wikisource.org/wiki/%E0%A6%AE%E0%A6%B9%E0%A6%BE%E0%A6%AD%E0%A6%BE%E0%A6%B0%E0%A6%A4/%E0%A6%AE%E0%A7%81%E0%A6%B7%E0%A6%B2_%E0%A6%AA%E0%A6%B0%E0%A7%8D%E0%A6%AC%E0%A7%8D%E0%A6%AC/%E0%A6%AF%E0%A6%A6%E0%A7%81%E0%A6%AC%E0%A6%BE%E0%A6%B2%E0%A6%95%E0%A6%A6%E0%A6%BF%E0%A6%97%E0%A7%87%E0%A6%B0_%E0%A6%AA%E0%A7%8D%E0%A6%B0%E0%A6%A4%E0%A6%BF_%E0%A6%AC%E0%A7%8D%E0%A6%B0%E0%A6%B9%E0%A7%8D%E0%A6%AE%E0%A6%B6%E0%A6%BE%E0%A6%AA_%E0%A6%8F%E0%A6%AC%E0%A6%82_%E0%A6%B6%E0%A6%BE%E0%A6%AE%E0%A7%8D%E0%A6%AC%E0%A7%87%E0%A6%B0_%E0%A6%AE%E0%A7%81%E0%A6%B7%E0%A6%B2_%E0%A6%AA%E0%A7%8D%E0%A6%B0%E0%A6%B8%E0%A6%AC. ↑ Aparna Chatterjee (December 10, 2007). "The Ashta-Bharyas". American Chronicle. Archived from the original on 6 December 2012. http://archive.is/2Nel। আহৰণ কৰা হৈছে: 21 April 2010. ↑ "Krishna & Shishupal". Mantraonnet.com. 2007-06-19. http://www.mantraonnet.com/shopping/comic-books/gods/krishna-shishupal.html। আহৰণ কৰা হৈছে: 2011-10-23. ↑ 64.00 64.01 64.02 64.03 64.04 64.05 64.06 64.07 64.08 64.09 64.10 64.11 "সপৰিয়ালে শ্ৰীকৃষ্ণৰ প্ৰভাস তীৰ্থলৈ গমন, মুষল পৰ্ব্ব, মহাভাৰত - কাশীৰাম দাস". http://bn.wikisource.org/wiki/%E0%A6%AE%E0%A6%B9%E0%A6%BE%E0%A6%AD%E0%A6%BE%E0%A6%B0%E0%A6%A4/%E0%A6%AE%E0%A7%81%E0%A6%B7%E0%A6%B2_%E0%A6%AA%E0%A6%B0%E0%A7%8D%E0%A6%AC%E0%A7%8D%E0%A6%AC/%E0%A6%B8%E0%A6%AA%E0%A6%B0%E0%A6%BF%E0%A6%AC%E0%A6%BE%E0%A6%B0%E0%A7%87_%E0%A6%B6%E0%A7%8D%E0%A6%B0%E0%A7%80%E0%A6%95%E0%A7%83%E0%A6%B7%E0%A7%8D%E0%A6%A3%E0%A7%87%E0%A6%B0_%E0%A6%AA%E0%A7%8D%E0%A6%B0%E0%A6%AD%E0%A6%BE%E0%A6%B8_%E0%A6%A4%E0%A7%80%E0%A6%B0%E0%A7%8D%E0%A6%A5%E0%A7%87_%E0%A6%97%E0%A6%AE%E0%A6%A8. ↑ "Lord Krishna's Disappearance,Disappearance of Lord Krishna,Life Span of Lord Krishn,Disappearance of Sri Krishna". Happywink.org. http://www.happywink.org/janmashtami/lord-krishna-disappearance.html। আহৰণ কৰা হৈছে: 2011-10-23. ↑ "MAHABHARATA -Krishna`s Return to Heaven". Urday.in. http://www.urday.in/mkrishnaheaven.htm। আহৰণ কৰা হৈছে: 2011-10-23. ↑ 70.0 70.1 70.2 "যদুকুল ক্ষয়াৰ্থে কৃষ্ণ-বলৰামৰ যুক্তি, মূৰ্তি পৰ্ব্ব, মহাভাৰত - কাশীৰাম দাস". http://bn.wikisource.org/wiki/%E0%A6%AE%E0%A6%B9%E0%A6%BE%E0%A6%AD%E0%A6%BE%E0%A6%B0%E0%A6%A4/%E0%A6%AE%E0%A7%81%E0%A6%B7%E0%A6%B2_%E0%A6%AA%E0%A6%B0%E0%A7%8D%E0%A6%AC%E0%A7%8D%E0%A6%AC/%E0%A6%AF%E0%A6%A6%E0%A7%81%E0%A6%95%E0%A7%81%E0%A6%B2_%E0%A6%95%E0%A7%8D%E0%A6%B7%E0%A6%AF%E0%A6%BC%E0%A6%BE%E0%A6%B0%E0%A7%8D%E0%A6%A5%E0%A7%87_%E0%A6%95%E0%A7%83%E0%A6%B7%E0%A7%8D%E0%A6%A3-%E0%A6%AC%E0%A6%B2%E0%A6%B0%E0%A6%BE%E0%A6%AE%E0%A7%87%E0%A6%B0_%E0%A6%AF%E0%A7%81%E0%A6%95%E0%A7%8D%E0%A6%A4%E0%A6%BF. ↑ "শ্ৰীকৃষ্ণৰ দেহত্যাগ, মূৰ্তি পৰ্ব্ব, মহাভাৰত - কাশীৰাম দাস". http://bn.wikisource.org/wiki/%E0%A6%AE%E0%A6%B9%E0%A6%BE%E0%A6%AD%E0%A6%BE%E0%A6%B0%E0%A6%A4/%E0%A6%AE%E0%A7%81%E0%A6%B7%E0%A6%B2_%E0%A6%AA%E0%A6%B0%E0%A7%8D%E0%A6%AC%E0%A7%8D%E0%A6%AC/%E0%A6%B6%E0%A7%8D%E0%A6%B0%E0%A7%80%E0%A6%95%E0%A7%83%E0%A6%B7%E0%A7%8D%E0%A6%A3%E0%A7%87%E0%A6%B0_%E0%A6%A6%E0%A7%87%E0%A6%B9%E0%A6%A4%E0%A7%8D%E0%A6%AF%E0%A6%BE%E0%A6%97. ↑ Kisari Mohan Ganguli (2006 - digitized). "The Mahabharata (originally published between 1883 and 1896)". book. Sacred Texts. http://www.sacred-texts.com/hin/m16/m16004.htm। আহৰণ কৰা হৈছে: 2008-10-13. ↑ Mani, Vettam (1975). Puranic Encyclopaedia: A Comprehensive Dictionary With Special Reference to the Epic and Puranic Literature. প্ৰকাশক Delhi: Motilal Banarsidass. পৃষ্ঠা. 429. ISBN 0842-60822-2. ↑ John Dowson (2003). 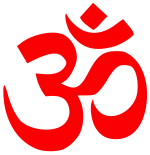 Classical Dictionary of Hindu Mythology and Religion, Geography, History and Literature. Kessinger Publishing. পৃষ্ঠা. 361. ISBN 0-7661-7589-8. http://books.google.com/?id=6JB-KOXy5k8C&pg=PA361&dq=Vishnu+Sahasranama+Krishna.